The benefits of a good background image can't be overstated. It can improve your mood, boost your productivity, even lend a little freshness to an aging device. If you don't want a picture of a loved one, cherished pet or recent holiday trip as a backdrop, here are five excellent sites for picking up free, high-quality wallpapers. There are a couple of key reasons we like Desktoppr. One, only high-quality wallpapers are accepted into the database; two, it syncs right up with Dropbox, so saving an image to your computer or mobile device only takes a couple of clicks. Head to the site and you can register for a free account in a minute or two and then start browsing. Using your Desktoppr account you can follow other users and filter by image size, popularity and date. Click through on a specific picture and it's also possible to search by color palette. Wallpapers can be flagged and loved in addition to being saved to your Dropbox account. Not the most feature-rich library you'll ever come across but certainly one of the slickest. Wallhaven is the new replacement for the excellent Wallbase.cc, which has unfortunately dropped off the face of the Web. As the URL suggests, it's still in the early stages of development as it looks to duplicate all of the content that existed on the site that came before it. Nevertheless, there's already a good amount of material up, and the Latest and Random buttons on the front page provide an easy way in. One of the best aspects of Wallbase.cc was the multitude of ways in which you could search for pictures, and this has been carried over to Wallhaven. Using the toolbar at the top of the screen you can look for images based on theme, resolution, ratio, tag, and palette. There's also the option to contribute your own wallpapers to the library and leave comments on content created by others in the community. One of the leading destinations for creative artists on the Web, DeviantArt hosts a wealth of impressive wallpapers that you can get at by clicking Customization and then Wallpaper from the front screen. There are a variety of sub-categories that you can work your way through, or use the search box at the top of each screen to look for something specific. Each thumbnail leads to a full image page with comments and download options. The Popular 1 week option (click More to see it on the navigation bar on the left) is a useful way of surfacing the best wallpapers that have recently been uploaded to the site. If you've never had a hunt around Flickr for some good wallpapers then you're missing out. 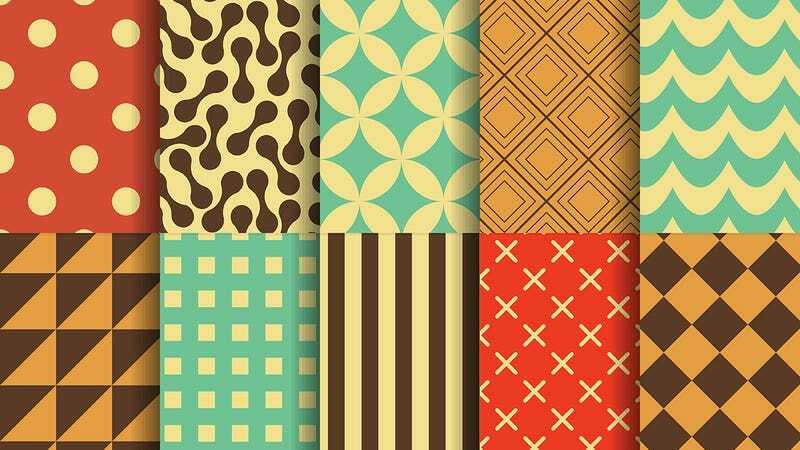 There are groups dedicated to pooling wallpaper images as well as groups centered around almost every other topic you could think of: Nature, landscapes, cities, cars, celebrities and so on. The community features are strong too and you can upload up to 1TB of your own content to share. Flickr's "Interesting" search filter (based on the activity attracted by an image) is a handy way of finding the best quality pictures, and the Explore page available from the front of the site shows the filter in action. Of course, not all photographers will make their work available at high resolutions, but many of them will. Subscribe to the users and the photo pools that you find most appealing and you'll soon find yourself with a stack of eye-catching wallpapers to choose from. Yes, there's a lot of noise on Google Images (welcome to the web) but if you use a few tricks in your search query then you can pick up some very nice-looking wallpapers. One tip is to run a search that includes the dimensions of your picture in the actual keywords—remember that Google will automatically display the most popular images, so you should be able to uncover some gems based around the topic of your choice, and all sized to fit your monitor (or smartphone screen) as well. Then there's the advanced search tools that you can pull up with each search and which you're probably already familiar with. You can look for particular sizes again, or sort by upload time, dominant color or image type. And then of course there's also the Bing Homepage Gallery, which lets you download all of the gorgeous pictures used as backdrops for Microsoft's search engine. There are plenty of other options out there, from Lifehacker's themed round-ups to the National Geographic archive. If you've got a resource that you'd like to recommend, leave us a note below.